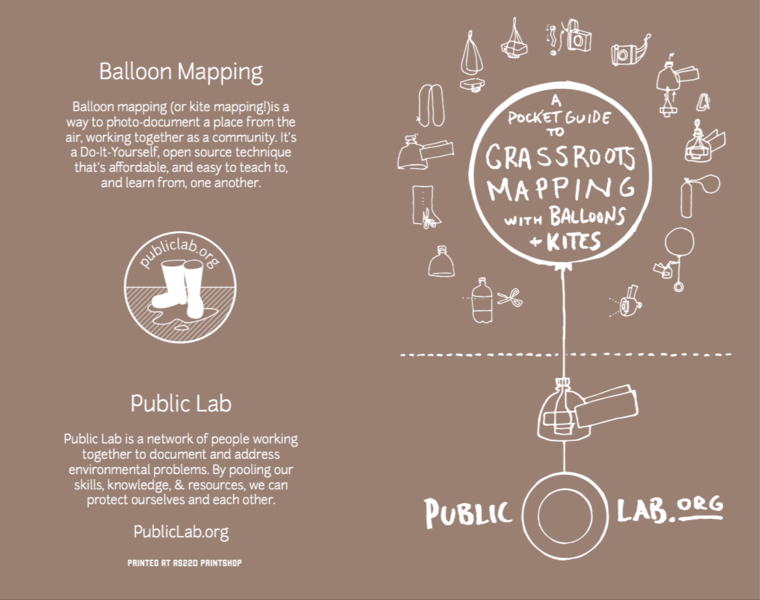 As we gear up for the launch of our new Mini Kite and Balloon Kits, we're looking to revisit, revise, and update one of our most classic collaborative works -- the Guide to Grassroots Mapping with Balloons and Kites. 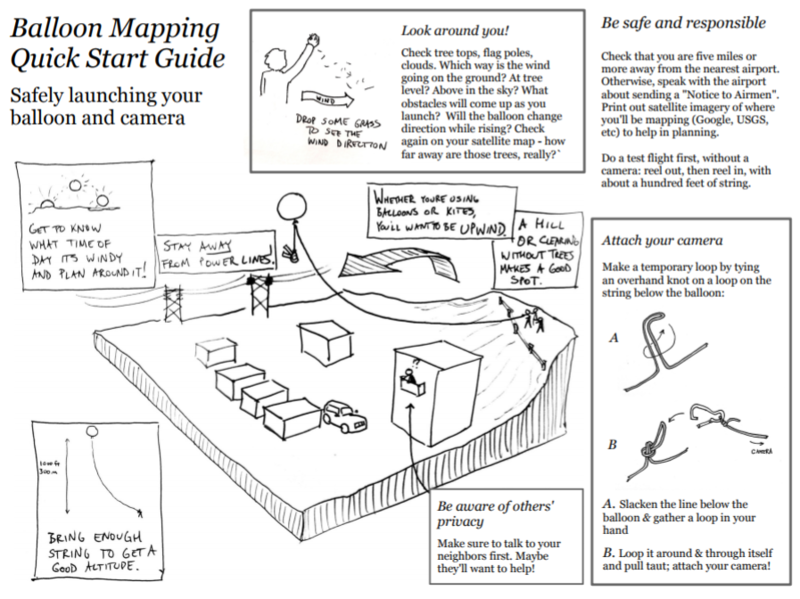 From early on, this illustrated guide helped get the word out on paper, and long before we began distributing physical kits, we spread this PDF far and wide. It's been translated into over a dozen languages (including Arabic, Spanish, Ukranian, Portuguese, Korean, Russian, Turkish, Dutch, and German) adapted, updated, and occasionally Frankensteined into many different versions. 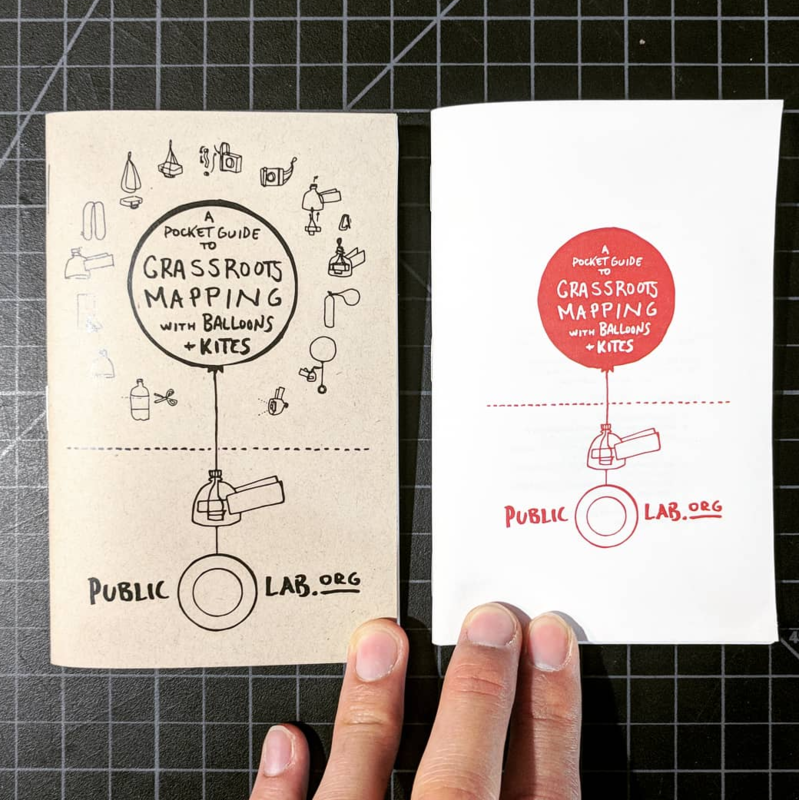 For this campaign, we wanted to take some time to collate and organize the best of these guides into a new, pocket-sized guide. 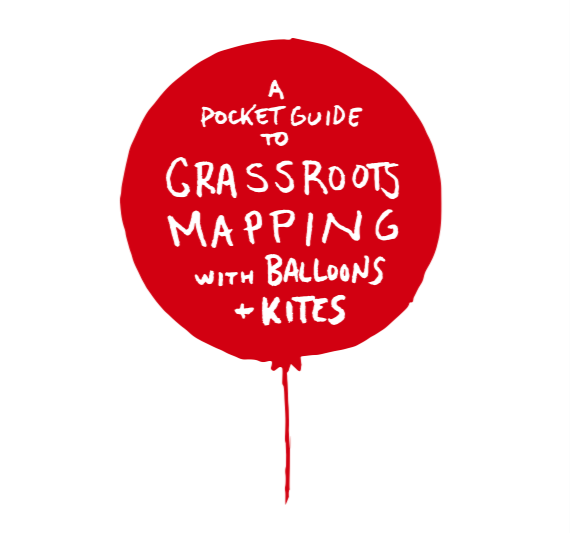 And we'd like to ask all balloon and kite mappers to help out, in a massively collaborative writing project! 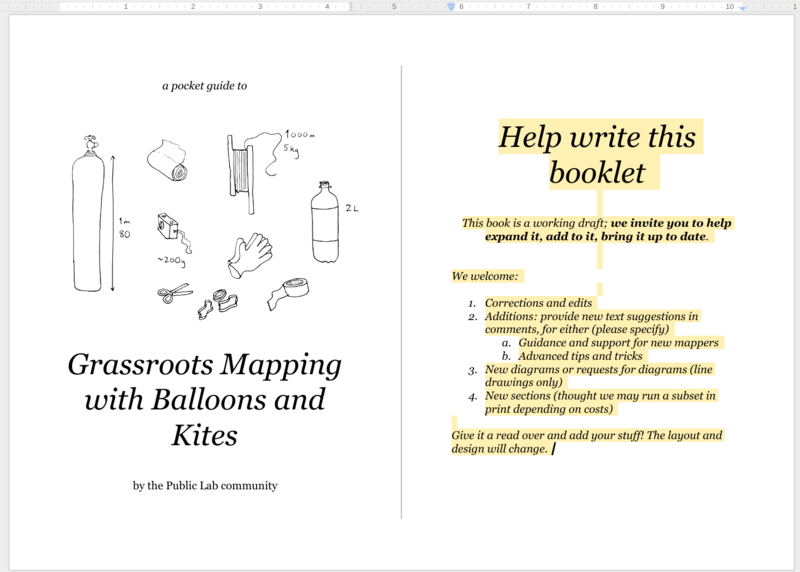 Here's an editable Google Doc of the guide. To keep things simpler for now, we're going to ask people to leave short comments: ideas, corrections, and suggested text -- please break them up into 140 characters max, so we can try to respond to each separately! To begin editing, open the document here. And of course, leave comments below if you have questions in general! I'm sure there will be a LOT of things to figure out as we go. 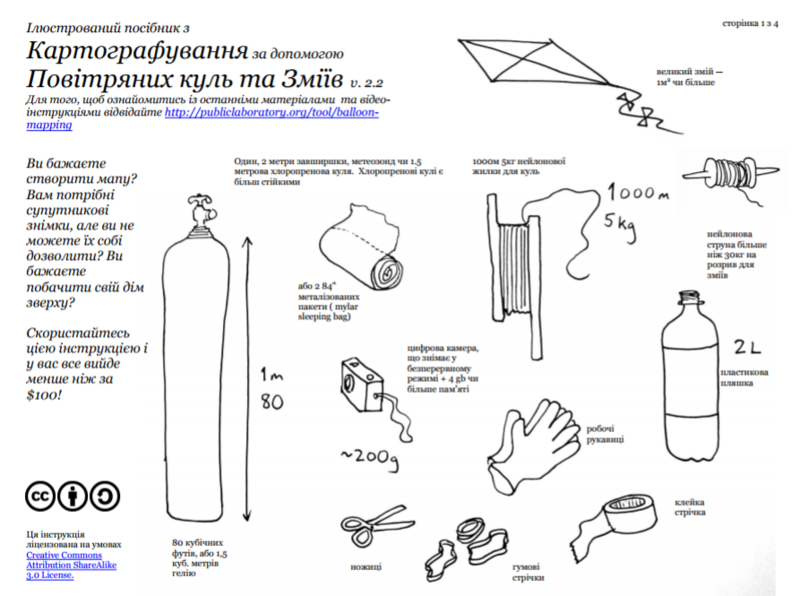 Saw some great suggestions -- i also added a "wind scale" table riffing on the Beaufort scale, with advice on what to fly in what conditions (types of kites, balloons) and how to estimate the wind speed from things like flags, treetops. But it could use a lot more work! Thanks for input @cfastie and @xose!! OK, one more version with page numbers! Tweaking the scale a bit (i know that's unfortunate, but I'm having some clipping issues) so I bookletize the above at 65%, then double up spreads (so four pages per side) at 220%. @xose -- it's actually Kite Month in the US -- http://nationalkitemonth.org -- so if you post your booklet (no rush, just excited!) we can do some outreach in both languages! Also linking back to the announcement that these are now available! Ooook amigas here it is. Just the text. 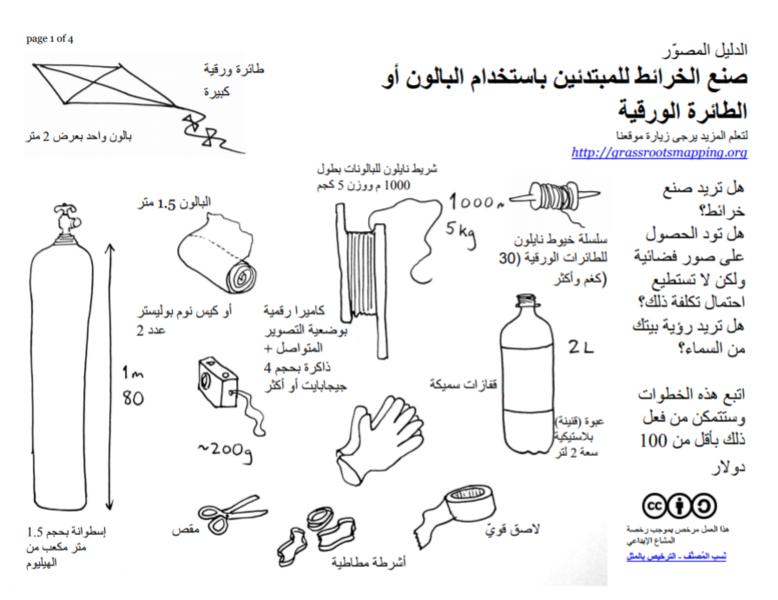 I've just wrote the texts on the images in a paper and tomorrow I'll upload the edited images on the same document. I don't know if it's correct but i've signed "traducido por Imvec.tech". If not, simply erase ;) A question @warren: second page must be translated or are just the guidelines for the past collective writing? OMGGGGGGG this is so exciting. The second page I left in so people know even the paper version is open to change! What an amazing job! The credit looks great too. What can we do to help? 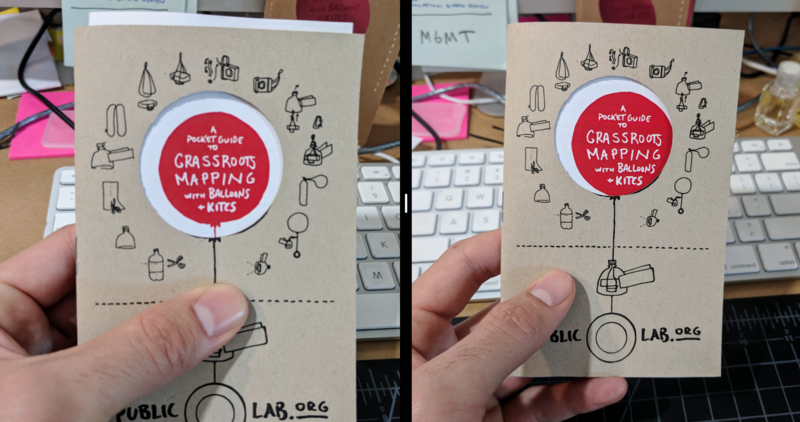 And paginated into a booklet!!! I'll try later in the week!